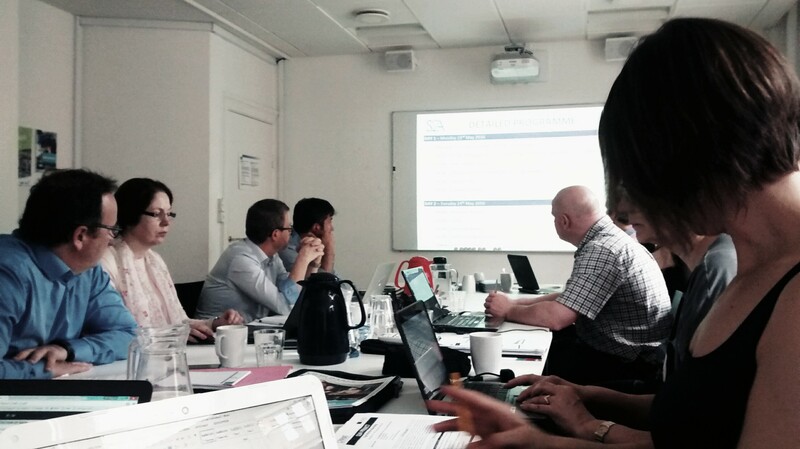 On 23rd and 24th of May 2016, the S2ASport project (led by EOSE and funded by the Erasmus+ Programme of the European Commission)* organised its second full partner meeting in Copenhagen. 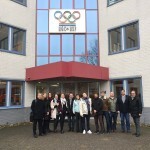 The event, hosted by the International Sport and Culture Association (ISCA), gave the opportunity to gather the whole partnership to discuss the progress made since the kick off event (Nov. 2015) and to move forward the implementation of this ambitious EU funded project focusing on the area of Sport Administration that will run until February 2018. The full description of the partnership and the expected activities of the project can be found on the website www.s2a-sport.eu. Officially opened by Aurélien Favre (EOSE Executive Director) who reminded the rationale and context of the project as well as the objectives of the day, the meeting was productive and some crucial progress was made towards the successful implementation of the challenging expected work programme and more important the validation of the working methodology. 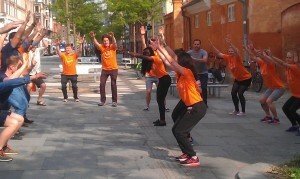 Such advancements would have not been possible without the active participation and contribution of all participants. 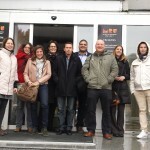 The partnership is using and following the Lifelong Learning Strategy for sport and active leisure, also known as the 7 Step Model, to define and specify the precise knowledge and skills sport administrators need to perform effectively within sport organisations and to produce an adapted training programme handbook that will be piloted in the second part of the project.. The discussion in Copenhagen focused on the first 3 steps of the overall model and more particularly on the draft versions of the Research Report (Step 1), the Occupational Map (Step 2) and the Occupational Descriptor (Step 3). In particular, Simone Digennaro and Antonio Borgogni from the University of Cassino and Southern Lazio (UNICLAM) as leader of the research (Step 1) presented the main findings of the online European consultation survey carried out in April 2016 and which gathered a total of 347 answers from the sector. A warmed thank you was expressed to all partners for their strong contribution which made possible to collate such a high number of responses. The analysis has started and a draft version of the research report was circulated to partners in advance so the aim of the discussion during the meeting was to agree all together the final structure to be followed and the detailed content and analysis to be included within the report. Feedbacks were collated about the content and suggestions made to further cross-analyse some of the data and it was also agreed to include at the start of the Research Report a 2 pages Executive Summary and one page of data visualisation. The report will now be amended and revised by the leader and it is expected to sign it off by the end of June 2016 following a series of consultation. On day 2, participants got some energisers through MOVE week activities in the street of Copenhagen as well as in the ISCA office. Thierry Zintz from the Université Catholique de Louvain (as Leader of Step 2) supported by Ben Gittus from EOSE Services then led the discussion on the Occupational Map which should provide a concise overview of the targeting area of sport administration and provide the context and background for development of occupational standards and education content. 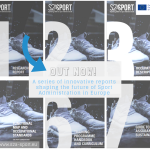 They presented each section of the draft version of the Map such as the definition of the sector, the main types of organisation, job roles, the characteristics of the workforce, the progression in sport administration and the current trends and anticipated changes. Some comments and suggestions were collated and it was agreed that the document will be enriched using some of the results from the online survey (Step 1). Same as previous, the report is going to be amended and a series of consultation will be carried out to target a finalisation of the document by the end of July 2016. Last but not least, Ben and Aurélien presented the draft version of the Occupational Descriptor (STEP3) that was also dispatched to partners prior to the meeting. This is a document identifying key tasks, skills and attributes which relate an occupation as well as knowledge, qualifications and career routes. The main methodological question was to decide if the Occupational Descriptor should focus on specific job roles or on sport administrator even though very few people have this job title. It was unanimously decided to go for a generic approach and to focus on the area of sport administration area..The content to be included in the Descriptor was discussed and a way forward was agreed with the objective to revise, consult and sign off the content of the document by the end of July 2016. A brief introduction of the next step, the Functional Map (STEP 4), was made to inform partners of the upcoming step in the work programme that will be led by Vilma Cingiene from the MykolasRomerisUniversity in Lithuania. 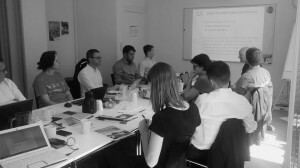 As a conclusion of the meeting, Carole Ponchon (EOSE), led a session devoted to dissemination and exploitation during which she introduced the work carried out so far to promote and raise awareness about the project including available tools (e.g. logo, leaflet, website) and example of good practices from partners. The meeting concluded with each partner having action points to be completed ahead of the next full partner meeting that will be hosted by the Lithuanian partner in Vilnius on 24/25 of October 2016. 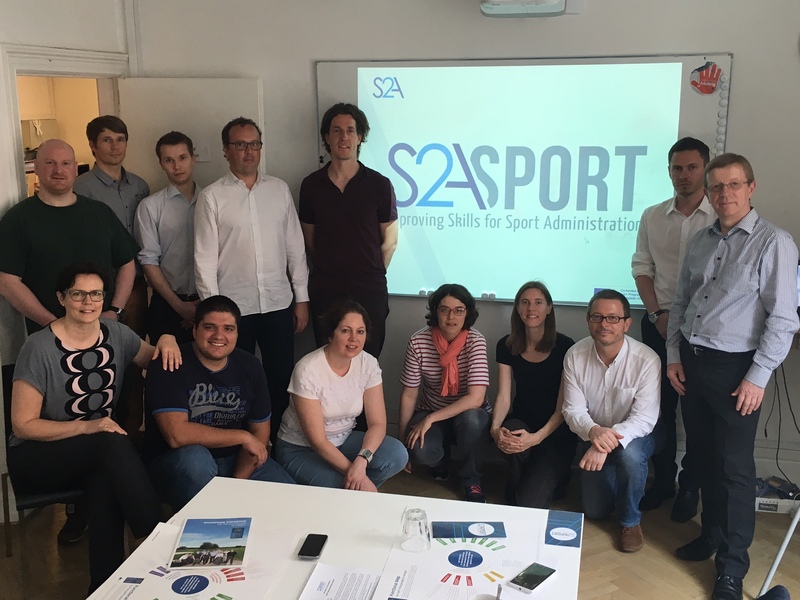 *EOSE is the leader of this EU funded project entitled S2A Sport: “From Strategy to Action: Supporting the professionalisation of sport organisations through the definition of work-based competencies and the development of fit-for-purpose training for Sport Administrators”.